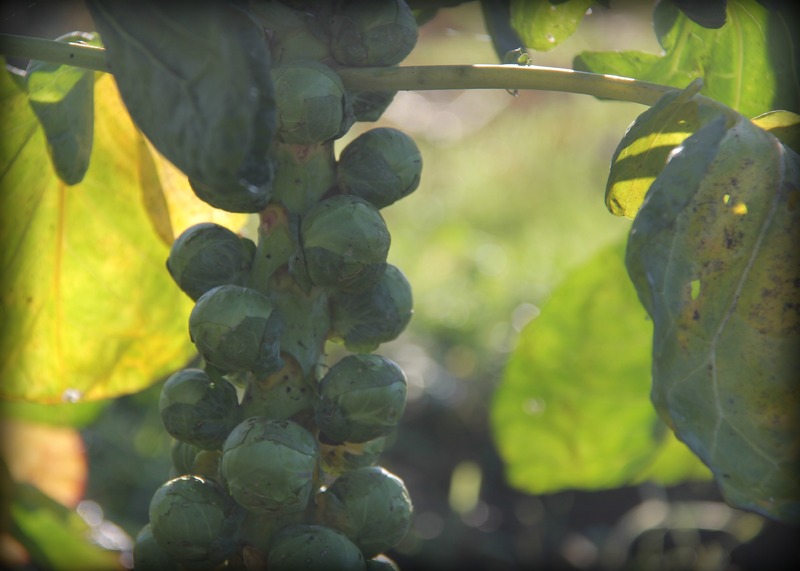 What is it with sprouts this year? The one time pariah of the Christmas dinner now seems to be the most fashionable veg on the platter. With a ‘monster’ variety of sprout expected to hit the supermarket shelves later this month because of the warmer weather, novelty chocolate sprouts apparently replacing the trend for chocolate coins, and even a BBC Christmas TV Campaign starring none other than Sprout Boy, it seems we’re unable to escape the humble Brussels sprout at the moment. Which is okay by us, because we love ’em! 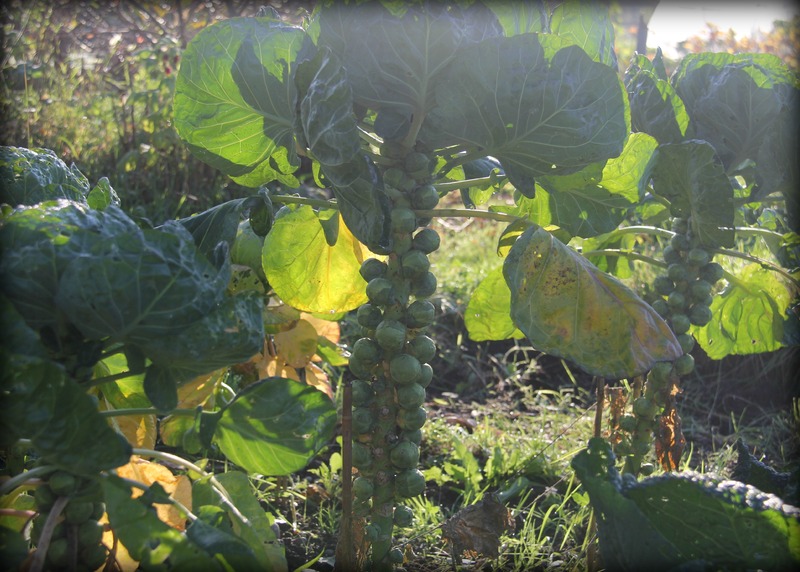 We’ve got a healthy crop growing on the allotment which we’ve already started harvesting, and what a fine-looking crop they are! Admittedly, I haven’t been particularly experimental when cooking our sprouts so far. They’re delicious, but I tend to keep things simple; boiling them lightly and serving them as a side dish, but I know there are plenty of other things to do with them. I may have to try something more adventurous next time – suggestions please! I had a crazy American friend visit recently and she loves Brussels Sprouts and presented me with a book – “Brussels Sprouts – the Ultimate Guide” which really comes up with some great recipes – including Balsamic Brussels Sprouts, Brussels Sprouts Stir Fry, Brussels Sprouts Pizza (! ), Pickled Brussels Sprouts, etc. etc. I’ve tried just the one – Brussels Sprouts with Mushrooms, which was absolutely delish. Yes, I definitely need to be a bit more experimental! Sprouts Pizza?!?! Really?!? Would be great if you could do a post on what else you decide to do with sprouts. I only know to steam them, although once a friend present me with a dish, where he had flavoured them with peppermint oil. It worked! Yes, I’ll try and come up with some recipes. Peppermint oil flavoured-sprouts sounds interesting! Ooooh… have to try that! Unfortunately our own sprouts crop failed this year because we found a great way to prepare them. Lightly shred them in a food processor and sauté with bacon until just tender crisp. Heavenly! Thanks for that! Will definitely give it a go!